Keeping your cat happy can be quite a task but ofcourse there are ways to do the same. Read on to find out these tips to keep him/her in the best of spirits and healthy as ever! Cats love to be petted and we must take the time to repeatedly pet these whiskered creatures.Make sure you pet them often although some cats may be put off by this excess love and affection so make sure you know your cat well before heavy petting! Safety is of hallmark for your cat and we must at all times ensure that they are indoors so they do not pick up diseases and have strange encounters with our animals that want to attack it.It is important that your cat is vaccinated and not a carrier of disease. Avoid feeding your cat too much! Dry cat food is good and so is a treat once in a while, however everything in moderation can be given to your cat.Human food does not suit cats and makes them fussy eaters as well as a little moody.Ensure food is given at regular intervals. Most pet stores have ready and healthy cat food packed with nutrients. Allow your cat that occasional walk outside as cats are sure to come back home by themselves but enjoy the freedom of swelling outdoors as well.Avoid waking them up when they are kittens as this disturbs them a great deal.Also ensure that your cat is trained to roam the wild areas as you do not want him to get run over by a vehicle! Ensure you develop ties that bind with this pet.They love close and cuddling relationships where they are sure to get and give affection.Cats unlike dogs love the affection of multiple people and are more than happy to give and receive love.Spend time creating a bond it is always a happy activity! Cats love to be entertained and get bored easily.It is essential to either get another kitten to play with your cat or give them enough toys and ensure they play away thier free hours.Cats do well by themselves and o not really need people around them but it is still of high importance that they have entertainment in thier cat lives! Cats are known to be clean freaks and it is therefore essential to keep thier litter boxes squeaky clean.It is of high importance as a dirty space may put them off very badly so much so that they get fussy.If you wish to see your cat happy be sure to have this aspect taken care of. Spending good quality time with your cat may make them feel secure and happy always.Everyone loves to be loved and kissed and hugged and cats love this affection too.Be sure to spend enough time loving your cat as you would then enable the cat to be of good nature. 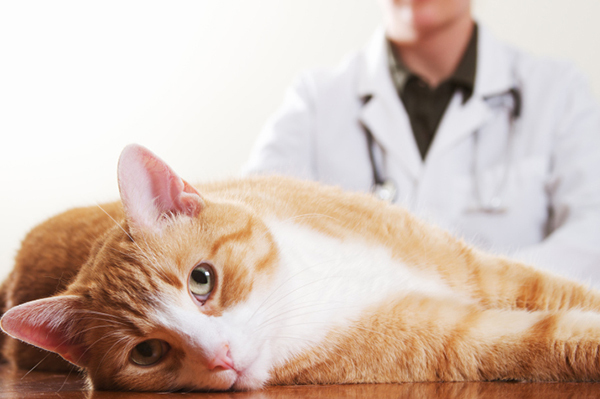 Cats need a regular dose of the vet and they must be neutered and kept happy.Cats need to be de-wormed and given thier health vaccines at all times.This prevents communicable diseases being passed to humans as well.It is absolutely essential to check for cat fleas too as this could bring down his health if over looked. Cat grass specially grown for your cat is healthy for his digestive system.Grow some and he will be happy for a long time thereafter! This can easily be grown inside as well as outside the house.